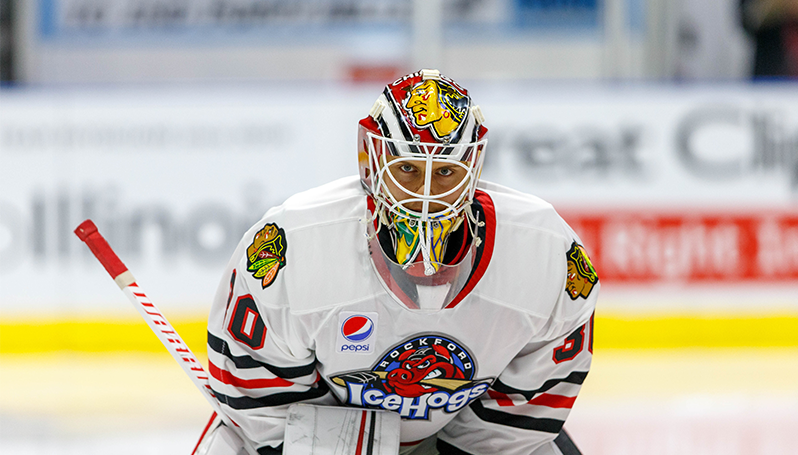 ROCKFORD, Ill – The Chicago Blackhawks today announced they have recalled goaltender Kevin Lankinen on an emergency basis from the American Hockey League’s Rockford IceHogs. Lankinen, 23, made his North American pro debut this season and has spent the majority of the campaign with the IceHogs, posting a 7-7-4 record with a 2.47 GAA and .911 save percentage in 18 AHL contests. He has allowed two or fewer goals in 10 of his 18 appearances and is 5-2-1 over his last eight outings since Jan. 25. The Helsinki, Finland native has also gone 4-2-0 with a 3.18 GAA and .893 save percentage in six ECHL games with the Indy Fuel in 2018-19. Prior to his debut in the Blackhawks’ system, Lankinen posted career-best marks in GAA (1.33) and save percentage (.946) in 15 games with HIFK of the Finnish Elite League during the 2017-18 regular season. He then registered a 1.99 GAA and .936 save percentage in 13 playoff games while helping HIFK to a Liiga bronze medal. Next Home Game: Sunday, April 14 vs. Milwaukee Admirals | 6 p.m. The IceHogs host their regular season home finale with a divisional showdown against the Milwaukee Admirals. The contest is fan appreciation night, and the first 2,500 fans receive a free team photo, courtesy of American Solutions for Business.